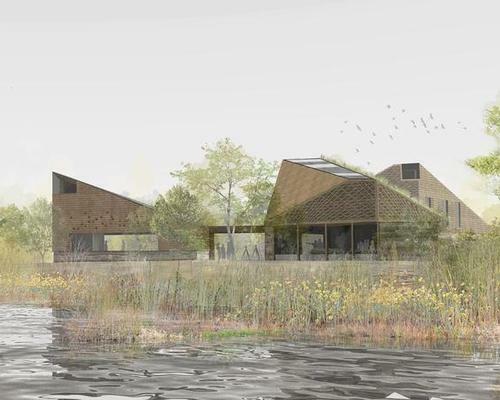 The Royal Institute of British Architects (RIBA) has announced that Studio McLeod and Ekkist have won the competition to design a new visitor centre for Sevenoaks Wildlife Reserve in Kent – a flagship visitor centre for the attraction. The pair were selected ahead of alternative submissions from ArkleBoyce Architects, Ben Adams Architects and Bilska de Beaupuy. “They are committed to bringing our vision to life with a building that engages people in looking after nature and their own wellbeing," said Stevie Rice of the Kent Wildlife Trust, explaining the choice of winners. A series of nestling forms will be integrated with the reserve setting. RIBA adviser Lynne Sullivan said: “The panel felt the team had successfully interpreted the therapeutic ethos of the project by seamlessly integrating these aspects into an architecture which has resonance, relevance and rigour - giving form to the ambition to develop an innovative Nature and Wellbeing Centre appropriate for the 21st Century”.